Formed in the Chicago area in 1975, Special Consensus is a four-person acoustic bluegrass band with a repertoire that features traditional bluegrass standards, original compositions by band members and professional songwriters, and songs from other musical genres performed in the bluegrass format. The band has released 17 recordings and has appeared on numerous National Public Radio programs and cable television shows, including The Nashville Network and the Grand Ole Opry at the historic Ryman Auditorium in Nashville, Tennessee. Durango, CO -- As winter season winds down and the snow melts in Durango, Colorado, skiers from all over the world are packing up and heading home. What these snow-seekers don’t know is that the off-season is the perfect time to relax, sit back, and enjoy the fresh air, while taking in some of the country’s best bluegrass music. Next month, Durango is set to host the Bluegrass Meltdown, an annual event that draws in top talent from all over the country. Quality Inn Durango offers a front row seat to all of the action, situated in the perfect spot for easy access to each of the venues, to hop around town, and catch a sampling of some mouthwatering craft beers. Nashville TN -- Grammy-nominated Special Consensus joins forces with contemporary bluegrass music's best on Country Boy: A Bluegrass Tribute to John Denver slated for release on March 25. There is a natural affinity between bluegrass musicians and John Denver's repertoire but this is the first purely bluegrass tribute to the iconic singer/songwriter who died in 1997. Temecula, CA -- Grammy Nominees, The Special Consensus will headline the 13th Annual Old Town Temecula Bluegrass Festival March 16 and 17. 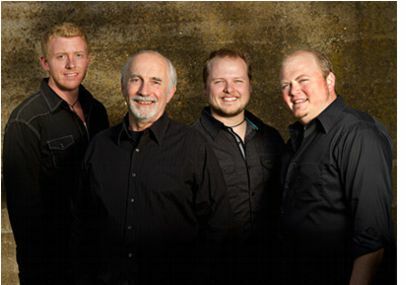 Their album "Scratch Gravel Road" received a Grammy nomination for the 2012 Bluegrass Album of the Year. Known as the best free festival on the west coast by bluegrass fans, this year's Festival features 11 scheduled bands and dozens of impromptu performances throughout the six block town. 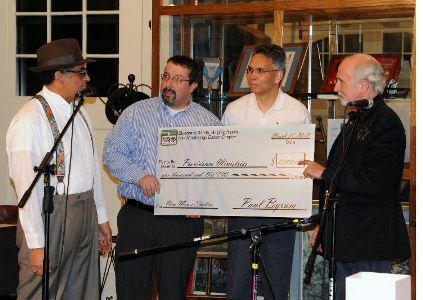 The lineup for the 2013 Mid-Winter Bluegrass Festival features 17 outstanding groups, many of them winners or nominees at the recent 2012 IBMA Convention, some of whom will be making their first appearance at Mid-Winter! As usual the Northglenn Ramada Plaza will host the festival featuring easy 1-25 access, ample parking, Grand Ballroom, indoor pool, jam rooms, good food, spacious atrium and other amenities too numerous to mention. Bring along your instruments and join in on the non-stop, wall-to-wall jamming that lasts throughout the weekend! Call early to assure. your reservation at the Northglenn Ramada Plaza or the nearby Super 8 just across 1-25.